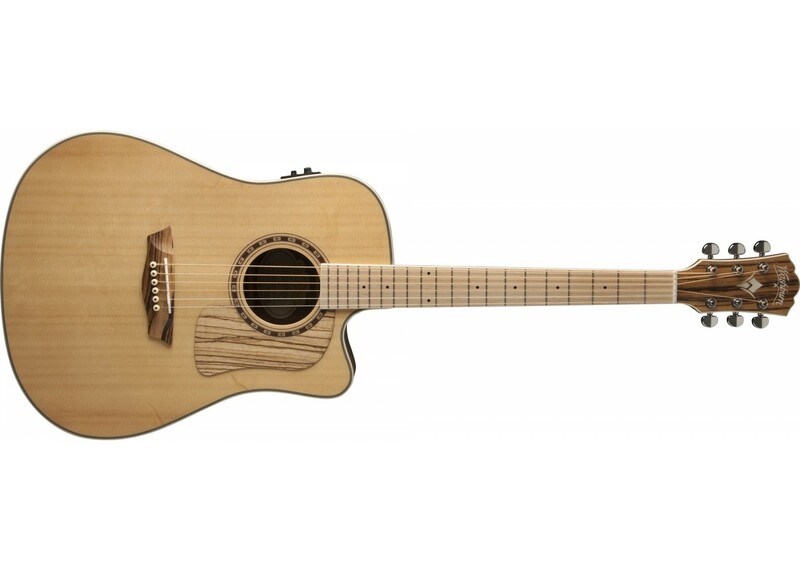 Presently, the only Woodcraft Series model listed on the Washburn site is the WCD50S. The WCSD50S features a Solid Sitka Spruce top, Koa back, sides, bridge, headstock cap and pickguard, multi-lam binding, mahogany neck with maple fingerboard, diecast tuners, 25.5â€� scale, gloss finish, and comes equipped with DAddarioÂ® EXP-16 coated strings. It also comes with a gigbag and includes a Limited Lifetime Warranty. Striking features of the Woodcraft Series are the exotic back and side woods of Zebrawood and Koa with matching headstocks, bridges and pickguards plus a maple fretboard on select models. This series is comprised of 8 models available as dreadnought or dreadnought cutaway w/electronics. 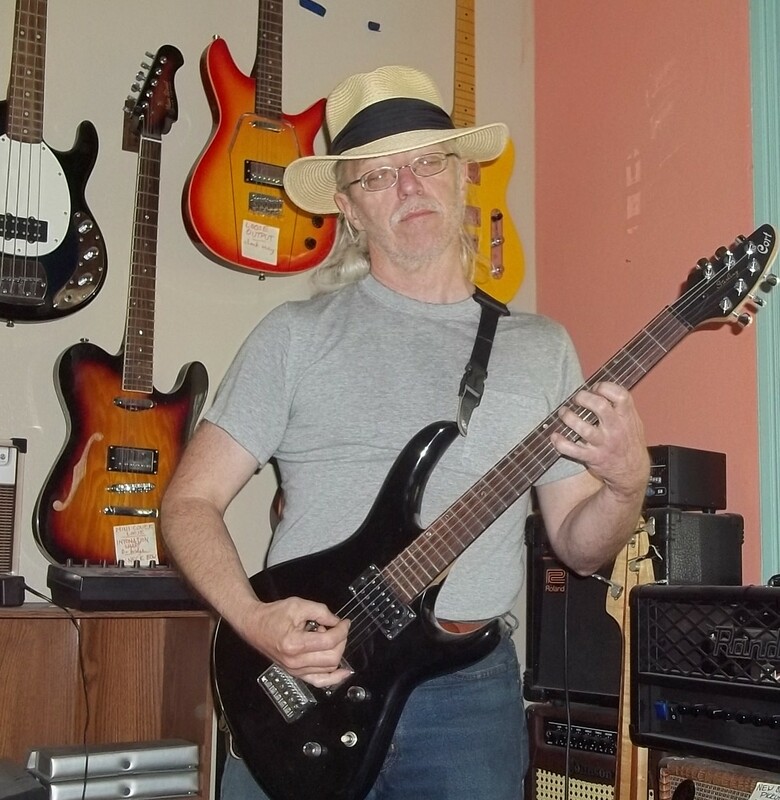 Models with 0 in the model name designates a maple fretboard and 2 designates a rosewood fret board. Buffalo Grove, IL (January 22, 2015) -- Washburn Guitars is excited to announce the introduction of our new series of acoustic guitars, The Woodcraft Series. Striking features of this series are the exotic back and side woods of Zebrawood and Koa with matching headstocks, bridges and pickguards plus a maple fretboard on select models. The new series is comprised of 8 models available as dreadnought or dreadnought cutaway w/electronics. Models with 0 in the model name designates a maple fretboard and 2 designates a rosewood fret board. All guitars in the Woodcraft Series feature Solid Sitka Spruce tops, multi-lam binding, mahogany necks, diecast tuners, 25.5â€� scale, gloss finish, are equipped with DAddario EXP-16 coated strings, come with a gigbag and include a Limited Lifetime Warranty. The WCSD30S/WCSD30SCE and WCSD32S/WCSD32SCE feature Zebrawood back, sides, bridge, headstock cap and pickguard. SCE models feature a cutaway for superb upper fret access and Fishman Isys+ electronics for accurate amplified acoustic tone. The WCSD30S/WCSD32S retail for $712.90 and the WCSD30SCE/WCSD32SCE retail for $819.90. The WCSD50S/WCSD50SCE and WCSD52S/WCSD52SCE feature Koa back, sides, bridge, headstock cap and pickguard. SCE models feature a cutaway for superb upper fret access and Fishman Isys+ electronics for accurate amplified acoustic tone. The WCSD50S/WCSD52S retail for $890.90 and the WCSD50SCE/WCSD52SCE retail for $997.90. Somehow, the excitement factor in Washburn ad copy continues to decline. Wow -- they aren't messing around at WMS. I ordered the D-30 late 10/12, like midnight so call it officially 10/13. They said "two to seven days" for free shipping. Cool. However, I'm waaaay out in the weeds in a small town in northwest Minnesota -- if there's a bright center to the universe, this isn't the furthest away, but it's still a long drive. We just assume that stuff will take 3-5 days longer to get here. So, call it a week or maybe two, right? I got home from work yesterday -- that'd be 10/15 -- & it was sitting on my porch. Firstly, the Fishman (301T rig) not only had a battery in it, but apparently with a full charge. I tuned it up & fell in love. The action is possibly THE BEST that I've ever found on a fresh-from-the-box acoustic. The B.C. Rich "Series 3" I have (street $300) arrived with the nut & bridge halfway to unplayable. It smells a little like Elmer's Glue, so it's probably not been sitting unloved in some warehouse for years -- now I really need to spend some time "playing it in" to ensure its tone develops properly. That spruce top has a great tone (well, duh) but also plenty of bark to it. While I really do prefer my old guitars for unplugged events -- less to go wrong if a little rain happens -- this D-30 could wind up being played to death over many happy years. And while the zebrawood doesn't really seem to add tone, I betcha it keeps the resale value high. FWIW, the bridgeplate & pickguard really ARE made from solid (not laminate) zebra. While I was expecting a craptastic black vinyl gigbag, what actually shows up is a VERY nice light-bluish-grey bag (with navy appointments) & script Washburn printed across the lower book-sized pocket. The lining is very dense foam &, while not so safe as an actual case, certainly gives the guitar a LOT of protection from casual bumps & dings. It's a round-bottom, which some might find a small downer, but no problem for me (especially as I tend to lean my bags anyway). And the shoulder straps are permanent. Though I can see the utility of clip-on straps, the fact is the hardware is almost always plastic, which WILL eventually get stepped on or slammed in a door or something if not just fall apart with age, & I used to lose 'em all the time anyway. The only thing I miss is that it doesn't have a finger loop at the back of the headstock, something I really appreciate (on a few of my bags) for maneuvering through a crowded area like backstage. Overall, it is at least comparable to the branded bag currenly on the market ($39, Musician's Friend), but that's a generic "all large acoustics" bag & the one I have is closely fitted for a dreadnought, so no "sloshing around" -- if pressed, I'd guess it's more comparable to at least their Dean bag ($40.40) if not the Road Runner ($60), but in any case a welcome "gimme" for a low-midrange axe. A very nice bonus for a $480 guitar, & big win @ $250. Looks like WMS might be doing a final clearout: back to $249.99 -- the same price they're asking for a WCD18!! -- & no virtual coupon necessary. Well, I suppose it`s not a cheap thing and me absolutely sure that I need some extra money on it. But it absolutely worth this. draftify.net - the best writing service where you can order all the application essay types and get a quantitive result very fast.